It's perfect for your App, Web service or hosting company or as a solid base to build on top of for developers. The design is clean & simple and offers 3 different colour schemes out the box (mint green, blue & red) which can be used to build your own colour schemes. It's well documented with code snippets so easy to customise for your site needs!! AppStrap Responsive App Theme can be used on ANY Windows Server (2000, 2003, 2008, IIS) or Windows Hosting Plan that supports ASP (3.0 or greater) which is standard on ALL windows servers or web hosting plans. Full lifetime access to the AppStrap Responsive App Theme support portal. 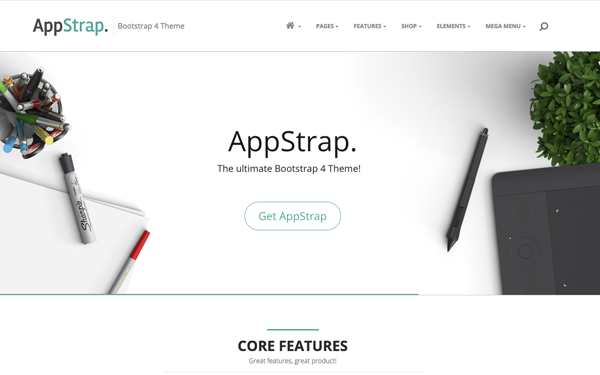 One big advantage to using AppStrap Responsive App Theme is that although it's "ready to go, right out of the box," it is also fully customizable. You can use ANY HTML editor to edit the application pages, including: Dreamweaver (all versions), Expression Web, Front Page, Go Live, Notepad etc. or any other HTML editor. You can learn more about customizing DMXReady apps in our customization guidelines.